Last Friday, I laughed when NBC announced that their #startToday program would start next week. But jokes aside, #startTODAY is something we all have to do. At some point, all those goals we’ve set for ourselves have to move from paper to sweat. We have to move from writing them down to acting them out. And the hardest step is the first step. 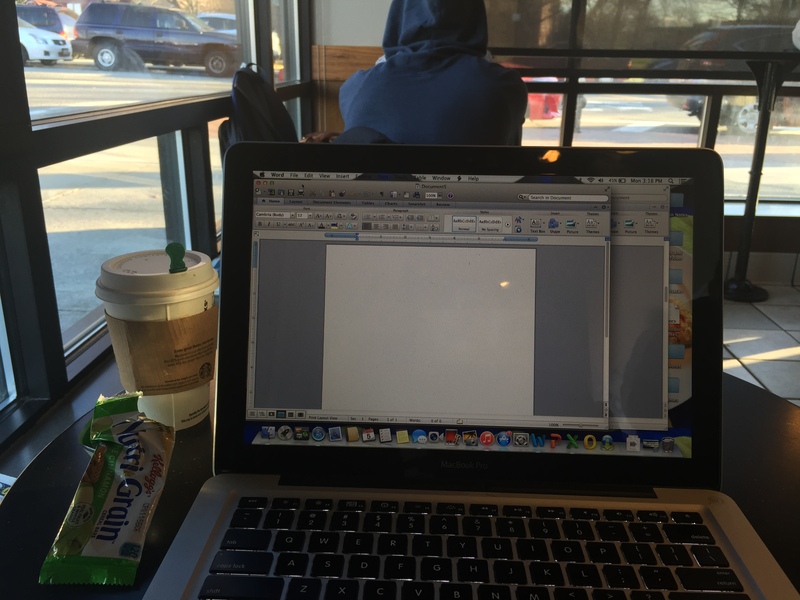 Yesterday, I went to Starbucks to do some writing. On the walk, I had some thoughts. What I was going to write, how the character was going to develop, how the story was going to be great when I was done. I had an awesome outline and a goal to write for hours. And then I got there and sat and stared at the blank page for what felt like the entire afternoon. The hardest step is the first step. But then I decided to just start. And I wrote a sentence, even though I hated it. And then seeing it on the screen inspired a better sentence so I replaced it and kept writing. 2167 words later, I was satisfied with my progress for the day. And now, I’m no longer on the hard, first step. Like most people I know, I blew the diet on the holiday and indulged in almost anything and everything that I wanted to eat. And now I need to get back to the eating plan. But it’s hard to give up on the cookies. The diet is a steep uphill climb. And the hardest step is the first step. The hardest day is that first day, when you stop indulging the cravings. Because even though we know they are better for us, carrot sticks do not satisfy cookie cravings. But today, I made a healthy breakfast and packed some apple slices and nuts for the day. And starting today, I am back to making healthy food choices. It might be the hardest step, but the first step is the most important. The journey doesn’t end with that first step, it’s just to get you started. The first step is to get your creative juices flowing, it’s to give you some momentum, it’s to encourage you to make bigger strides later. What can you do to start working on your goals today? 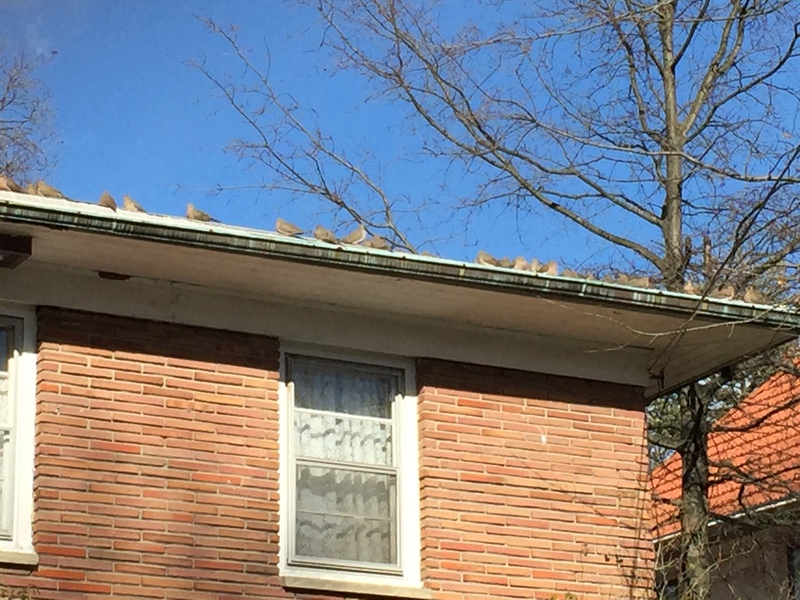 The birds on this roof were singing up a storm. It’s the little things. 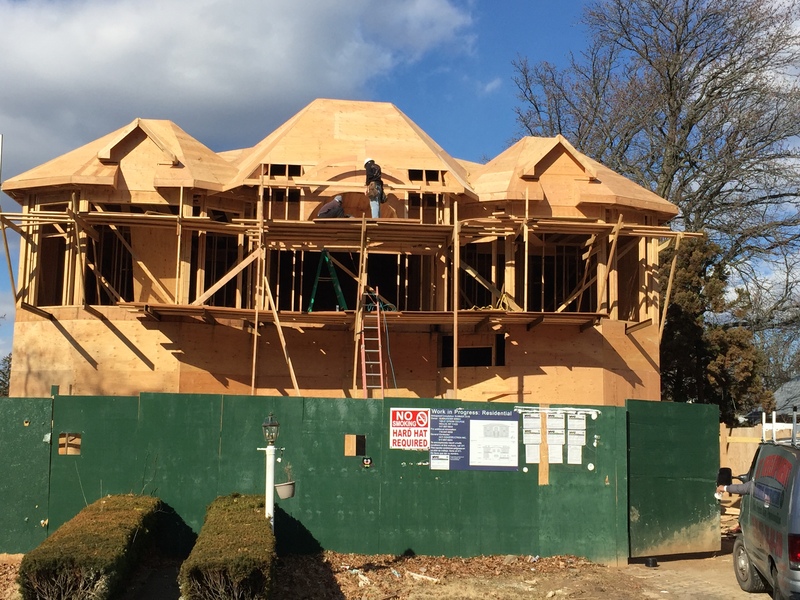 This house under construction. Men working outside in 30 degree weather. 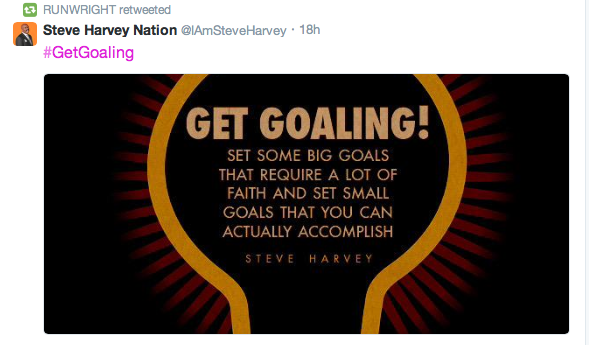 This tweet that reminds us to set not be too lofty that we can’t accomplish our goals. Have a great day! Start Today! Love this! SO true, if you just take that first step and get over that hurdle, it gets a little bit easier with each step! Awesome! All the best to you too, Suzi!